The banks listed at the Dar Es Salaam Stock Exchange (DSE) started 2013 on a positive note thanks to a trading activity higher than other sectors listed at bourse. While traditionally the month of January sees stock prices drop, shares prices for the Banking, Finance and Investment sector (BI) at DSE are registering a bullish tendency for the same month. Last week BI closed at 1,258.19 points against the 1,232.47 registered on 18th of January, showing a +2.08% change. During the same week, the Dar es Salaam Stock Exchange All Share Index (DSEI) dropped by 0.05% from 1,492.17 to 1,491.41 while Tanzania Share Index (TSI) ended the week at 1,454.88 points (-0.22%). Tanzania Securities – one of the seven Tanzanian licensed stockbrokers – anticipates the continued presence of foreign investors, particularly taking position in the Cooperative Rural Development Bank (CRDB) and National Microfinance Bank (NMB), the latter having registered +3.51% during the week analyzed. 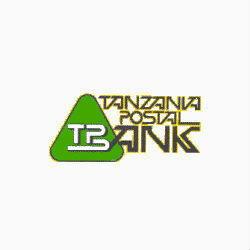 DSE is expected to see the listing of a new bank, Tanzania Postal Bank (TPS), in the near future as announced the government owned financial institution. According to Mr Sabasaba Moshingi, TPB Chief Executive Officer, joining the stock exchange would generate multiple benefits to both the bank and the general public in terms of raising low cost capital through sale of share: such capital would then allow the bank to re-invest, expand and modernize its services. Established in 1992 as a corporation, TPB has generated profit for three consecutive years and has a sound balance sheet and will probably become a fully commercial bank once listed.